« 5/30 Newstarters who will be running there 7th Day Soon! Ladies Who StrollI use the word ‘stroll’ lightly. 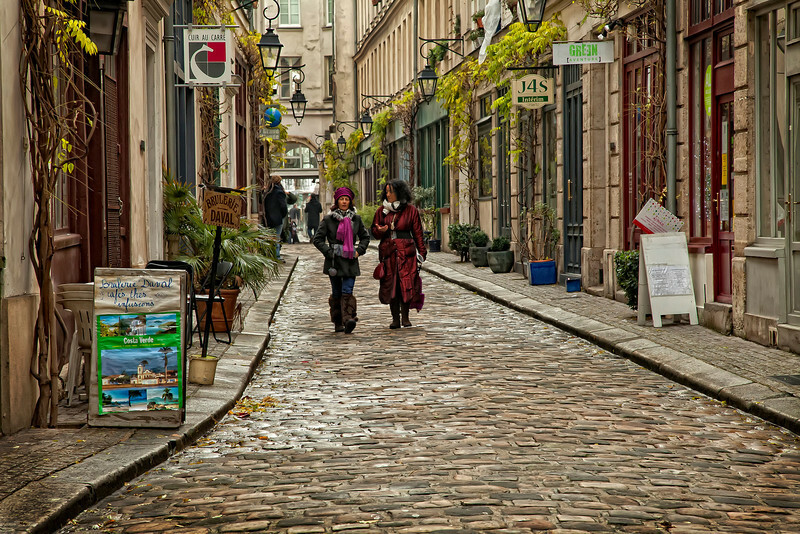 Because these particular ladies in the Marais neighborhood of Paris were covering some major groundage. I wondered what they were talking about, so immersed were they. Work? Clothes? Boyfriend? Girlfriend? Working out? Problems of the world? I wondered if they were native Pariesiennes, or if they moved here from another land. And if they were happy there. I admired their fashion sense, as I did most of the women I saw in Paris. Then they swooped by and were gone.